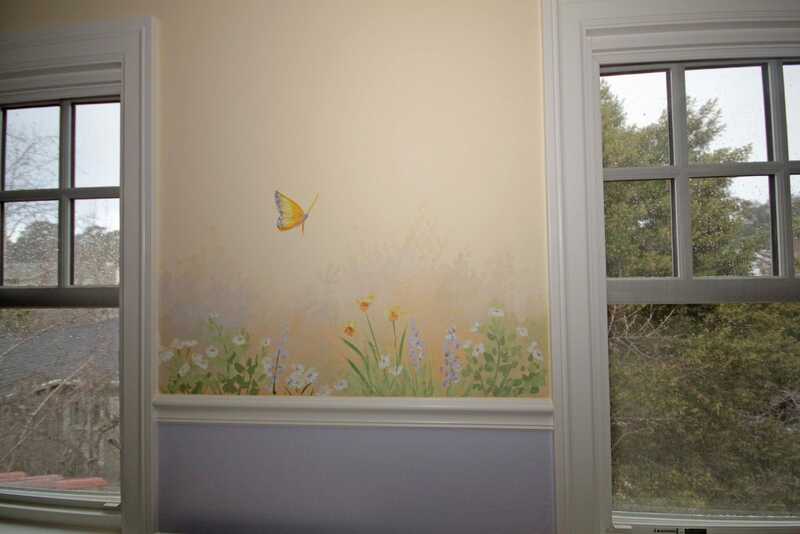 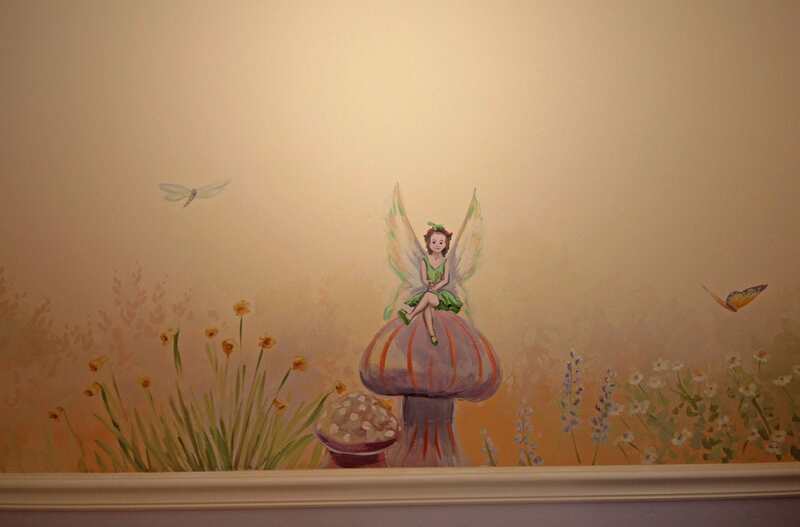 This mural is a soft chair rail border of flowers, butterflies and fairies. 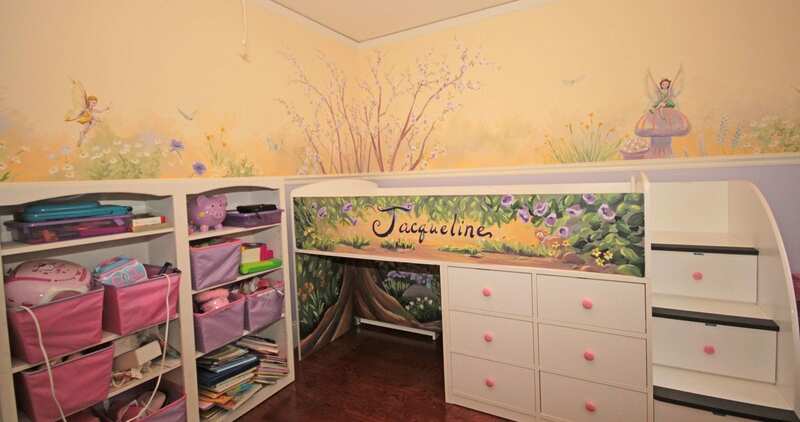 In the corner is a cherry blossom tree with a trunk that extends into a painted hideout nook under the bunk bed. 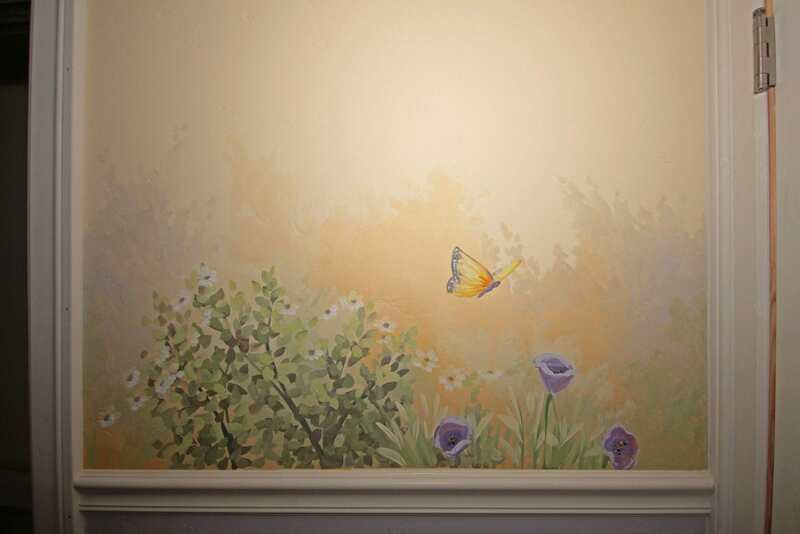 We created a soft butterfly and flower border at the chair rail height to soften the color transition and create a visual focus for the top half of the room. 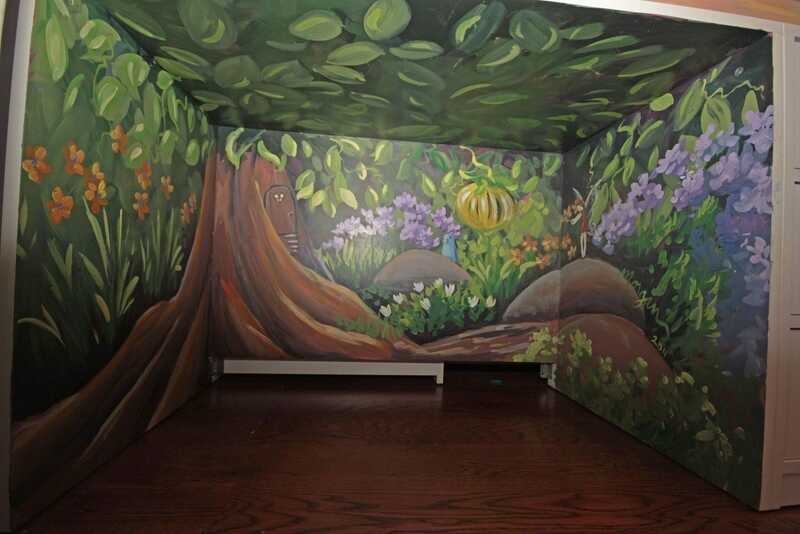 We anchored the border with the cherry blossom tree and its connection to the fairy hideout underneath.